Diet Vs. Exercise – What Is Better For Weight Loss? “What works best? Diet or exercise?” I asked my friends and colleagues. And 2 out of 3 said that it’s a combination of both. Unfortunately, that consensus complicated things for me. Because I have been combining both, and yet, the weighing scale doesn’t seem to budge. One thing was clear – it was time for some fact-checking. So, I set out to find out the whys and hows and came to a conclusion that I never thought I would! 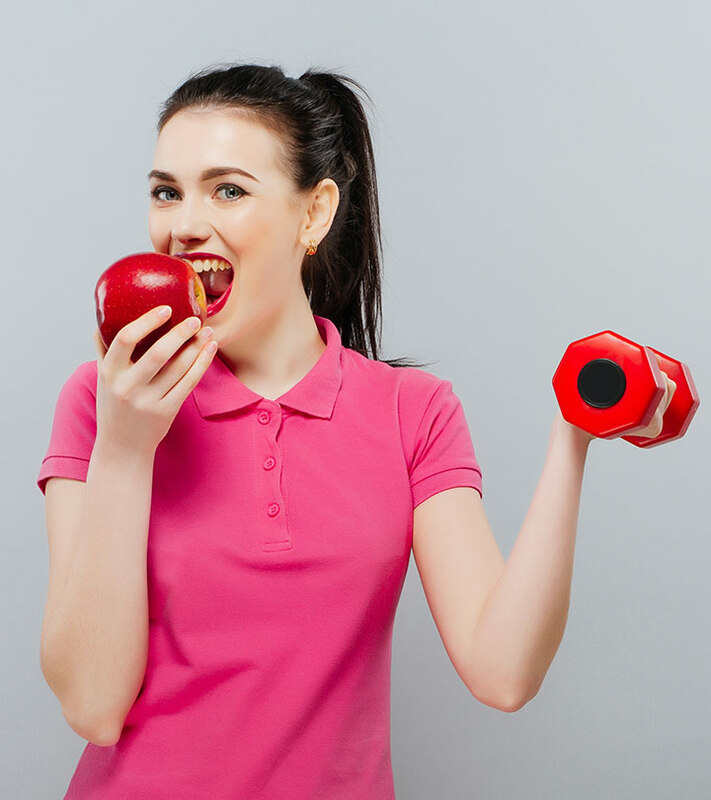 In this article, I have laid down everything I learned about what works for weight loss – diet or exercise or a clever combination of both. Get reading, and you will break your weight loss plateau – that’s a guarantee. Let’s begin! Your body is not like someone else’s. So, if a low-carb diet suits someone else, it won’t necessarily suit you. Fad diets and crash diets will only slow down your metabolism. Consider your body type and your lifestyle before starting a weight loss program. Talk to a doctor to find out if your weight gain is genetic, and if you have any medical conditions. Physical activity helps if you suffer from depression, anxiety, and other mental illnesses. Now, let’s get to the main point. First things first, the 80/20 rule. 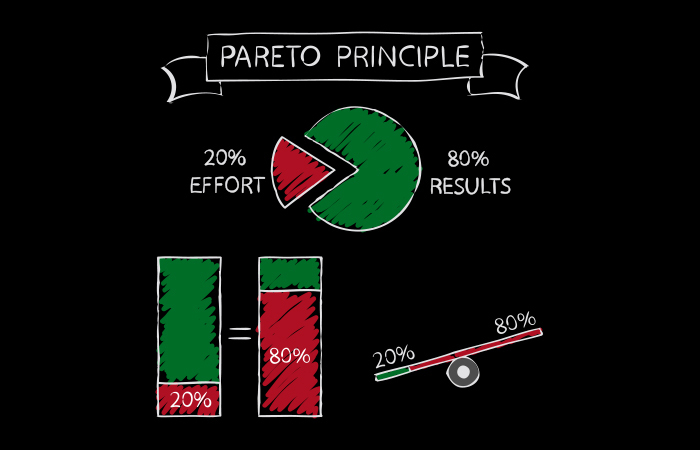 The Pareto principle or the 80/20 rule is all about putting in 20% effort and getting 80% results. In simpler terms, less effort, more results. In weight loss too, you can apply this principle – but in a slightly different manner. For weight loss, fitness gurus and nutritionists agree that 80% of your effort should be from diet and 20% from exercise. Meaning, you have to be extra careful about what you eat, how much, and when. This holds true as most of us (including me!) tend to overestimate the energy expenditure and underestimate the calories consumed. That’s because the amount of calories you need just to stay alive is different than what your friend would need. The energy you expend through exercise will also differ even if you both do the same exercise, at the same intensity, for the same duration. Diet is a major determinant of whether you will lose the flab or your friend will. So, stick to your diet even if it’s weekend or you are going out on a lunch date. That way, you do not have to run 10 miles a day or do 60 minutes of Bikram Yoga to burn the soda, cupcakes, potato wafers, or the huge piece of cake that looked so dangerously inviting. 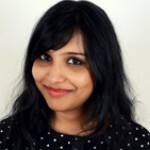 Does that mean you should stop exercising and focus only on diet? Let’s find out. 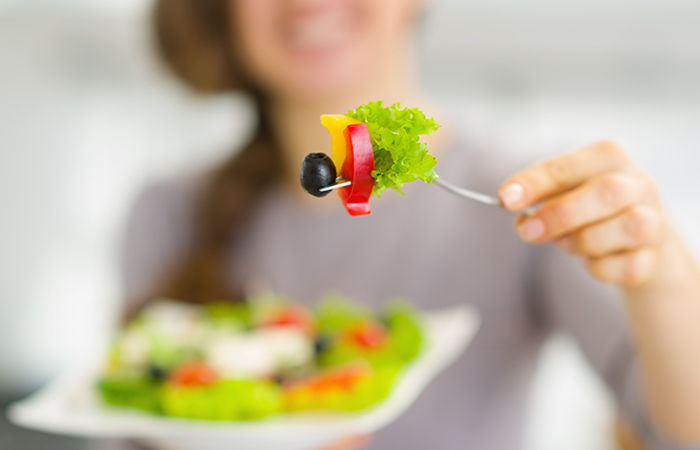 You will lose weight by going on a properly monitored diet. But you will also lose muscle mass. And when you lose muscle mass, your metabolic rate slows down. That’s because your muscles are where a high number of mitochondria are present. Mitochondria are cell organelles that help convert glucose to ATP or energy (metabolism). With less muscle in your body, the number of mitochondria will also decrease. As a result, your metabolism will slow down. To prevent this, you need to exercise. In fact, a mixed workout is the best. Three days of strength training and 2-3 days of cardio is what you should ideally aim for. But there’s one more thing you should be aware of. Find out what it is in the next section. Cutting Calories Or Increasing Exercise: Does It Vary With Age? Yes, it does. Muscle loss kicks in post 30. If you are someone over 30, your priority should be preventing muscle loss and building some lean muscle mass. You can do a variety of exercises at the gym using weights or just your body weight. Keep it interesting, and you will be able to prevent muscle loss and look toned. However, you should talk to your doctor first. You must not do exercises that will harm your bone health and pose a risk to your life. You have to be extra vigilant about the sugar and salt intake. With age, a lot of health problems like diabetes, hypertension, and cardiovascular problems start to emerge. And a big part of protecting yourself from these potentially life-threatening diseases is controlling what you consume. This brings us to an important question. Scroll down to find out. Diet is very important when it comes to weight loss because the effect of exercise is canceled out when you don’t take care of what you consume. To lose 1 pound of fat in a week, you must cut back or burn 3500 calories (roughly 500 calories per day). Meaning, you would have to run at 8 mph for at least 45 minutes or 55 minutes of Zumba without stopping. You might think it’s OK to consume two slices of pizza in the middle of the week and then go to the gym and burn the calories. But to burn two slices of pizza (~560 calories), you would have to do 65 minutes of moderate cycling or 60 minutes of intense Zumba (without stopping!). That’s insane and might be dangerous too. So, every time you think of straying away from your weight loss diet, contemplate if it would be really worth it. Yes, you should let go sometimes. But pick healthier foods for enjoying a cheat meal. Then, were my colleagues and friends right? What’s the verdict? Who Wins – Diet Or Exercise? Diet is the winner. Diet alone is equivalent to three pillars of weight loss, and exercise is equivalent to one. So, if you do not keep your diet in check, no matter how many hours you spend at the gym, you will not lose weight. Also, you cannot sustain weight loss or your health without exercise. Exercising regularly can also help improve your mental health and a few chronic conditions over time. To conclude, the weight loss journey is a bumpy ride. It will test your willpower to stay put and achieve your goal. But it’s worth following the 80/20 rule and improving your overall lifestyle. The end result – you will feel better and be more productive and active, and your mental health will improve. So, keep the four pillars of weight loss intact, and you will not have to go on a fad diet to lose weight. Have questions? Ask by commenting in the box below.